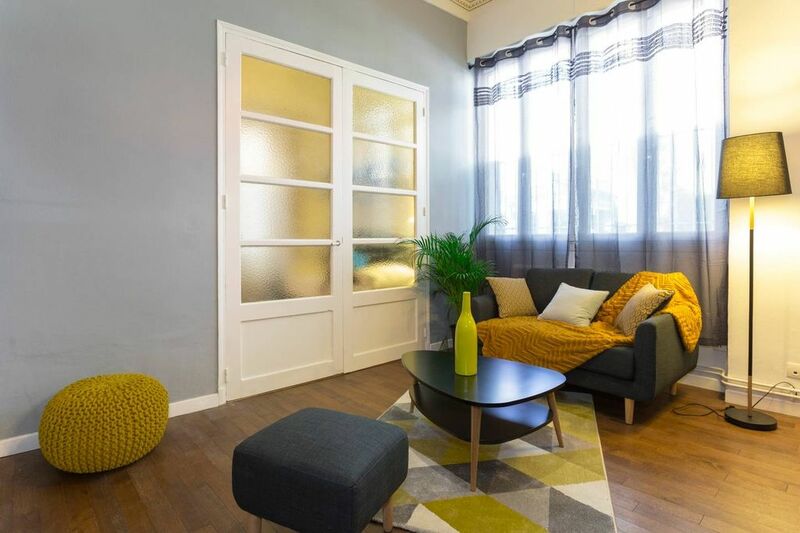 Flat entirely renovated 53 m2, situated in the old town. Fully furnished with new, towels and sheets provided. Located on the ground floor, no floor to climb with suitcases! Double glazing mirror so no problem of privacy. * Living room with sofa, ottomans, TV and wifi. A library with play games. * An office that can make extra room with a sofa bed 160x200 cm, desk and dresser. * A bathroom with Italian shower and washer dryer. Everything happens feet: Close to theaters and about 15 minutes from the Palais des Papes. 5 minutes from Les Halles and shops. Near the appartment, a free parking with shuttle to the center of town. No car needed. ideal base for exploring Avignon and the Provence area. Vélopop nearby. Can pick our guests to the train station. Très bel appartement ancien rénové avec beaucoup de gout. Tout le confort y est. Très bien situé. L'appartement est situé non loin du centre ville, tout équipé. Idéal pour une famille de 4 personnes, propre et confortable. We stayed in this appartement for 2 weeks.In the photos the appartement looks smaller than it is, in fact it has high ceilings so feels much more spacious and airy.